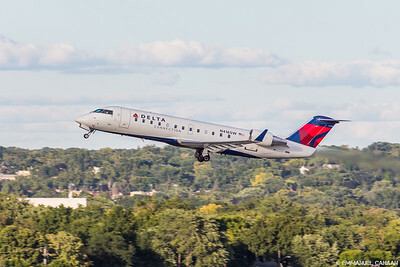 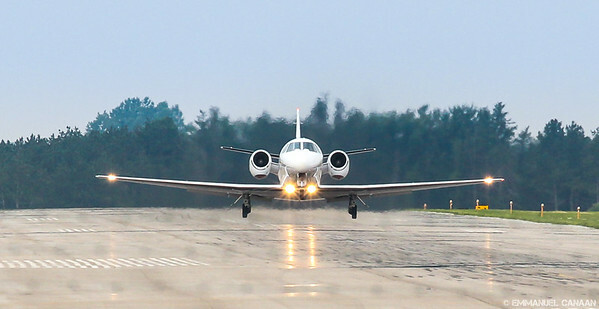 This gallery contains images of airliners taken in 2013 (primarily at KMSP). 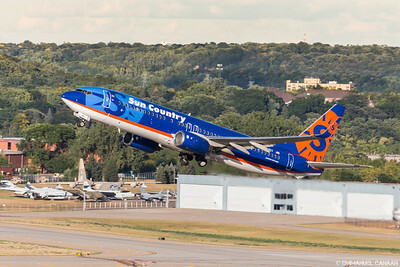 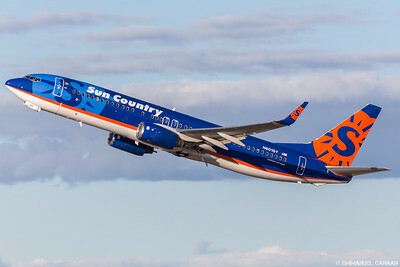 A Sun Country Boeing 737-800 climbs out of Minneapolis. 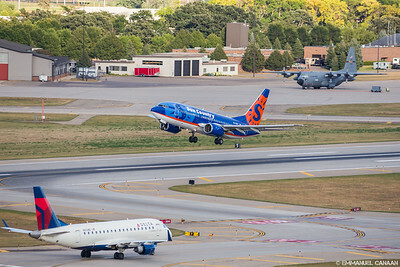 Taken from the top of the control tower. 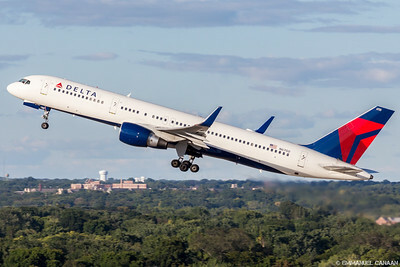 A Delta Boeing 757-351 shows off its enormous length while climbing out of Minneapolis. 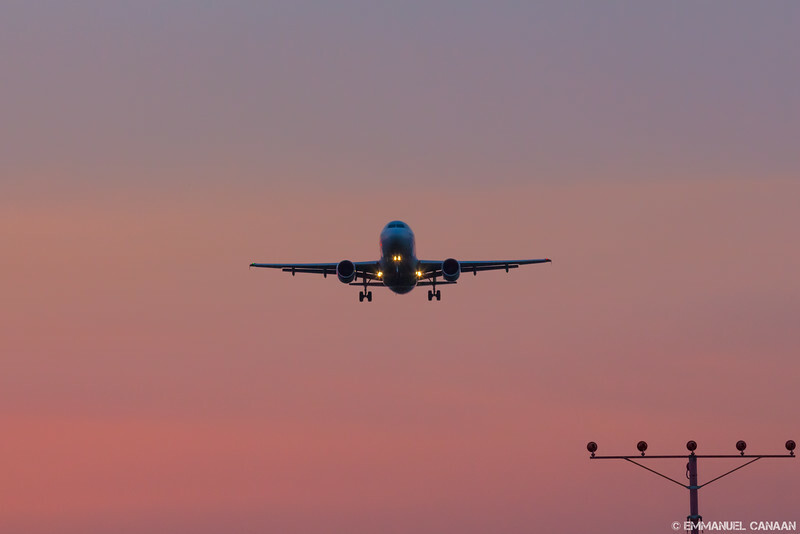 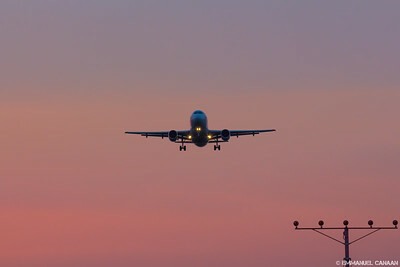 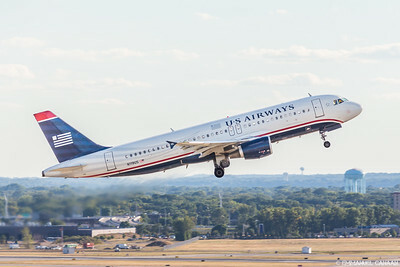 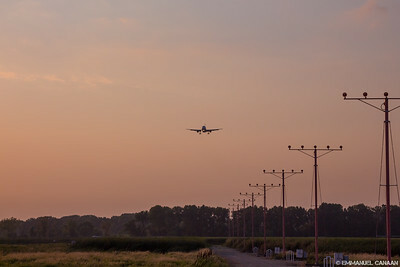 A US Airways A320 climbs out of Minneapolis. 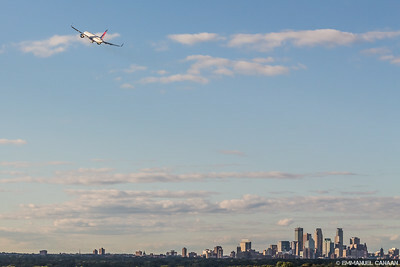 A Delta Boeing 757-232 departs Minneapolis with the city skyline visible. 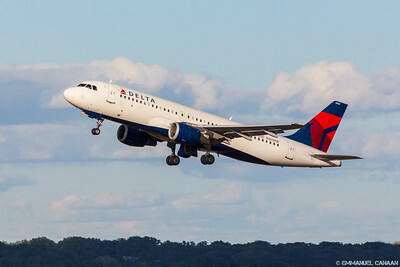 A Delta Boeing 757-232 screams out of Minneapolis. 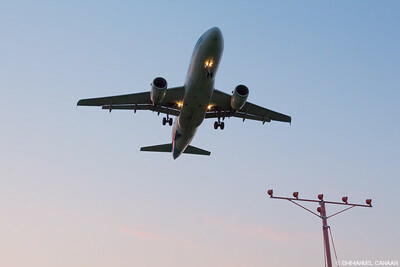 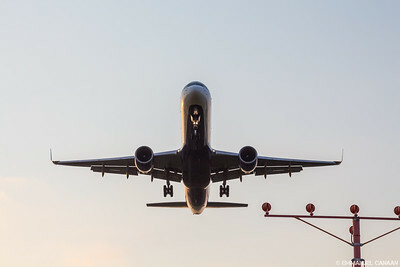 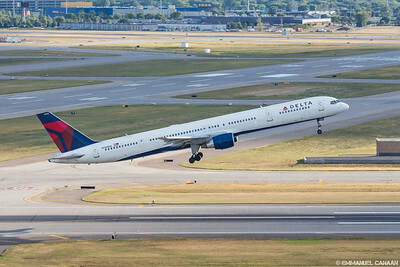 A low-flying Delta 757-200 seconds from touchdown in Minneapolis.